Rev. Nicolas Guérékoyamé-Gbangou, president of the Evangelical Alliance in CAR, addressing a conference of Christian leaders in Bangui, the capital. Churches in the Central African Republic have pledged to unite in prayer in response to the worsening violence dividing the country. The leader of the country’s evangelical church network says the effort has the potential to bring peace to the troubled nation. 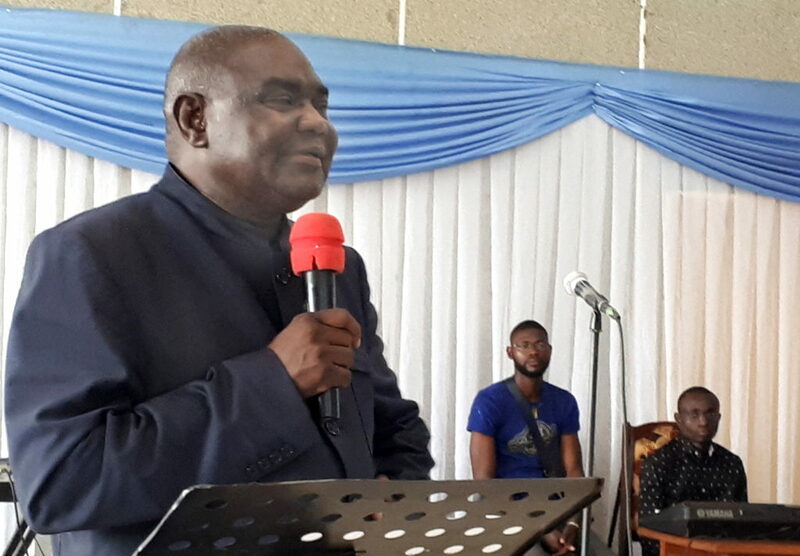 “Recent history of some countries in Africa, among others, has shown that servants of God, like Nehemiah and Haggai, have risen up to plead with God in order to put an end to the barbarism that then roiled their respective countries,” said Rev. Nicolas Guérékoyamé-Gbangou, the president of the Evangelical Alliance in CAR. Dr Langton Gatsi, founder of One Way Ministries International. Guérékoyamé-Gbangou was among hundreds who attended the 26 March-1 April conference in Bangui, the capital. 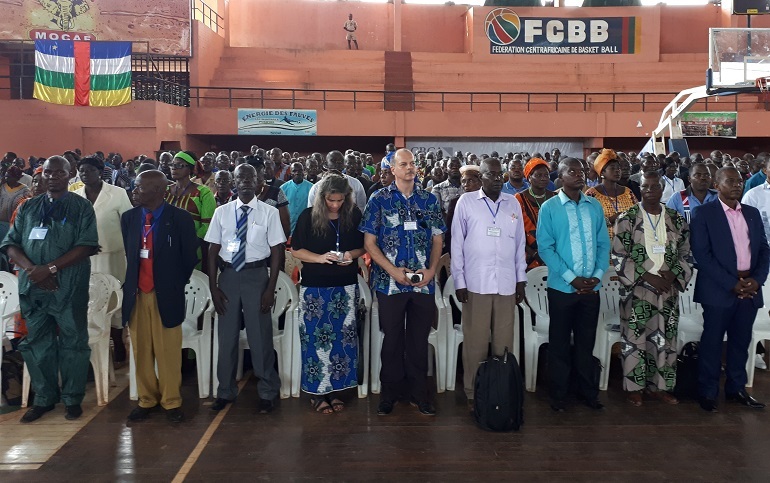 The conference, entitled “Rebuilding the Nation”, was organised by the Evangelical Alliance in CAR. It was chaired by speakers from Europe and Africa, including Bishop Laurent Dorego, President of Terre Nouvelle, a missionary organisation in Gabon; and Dr Langton Gatsi, founder of One Way Ministries International, from Zimbabwe. Central African Republic fell into chaos on 24 March 2013 when a predominantly Muslim coalition of rebels, known as Séléka, ousted President François Bozizé and took power. Five years on, the situation has deteriorated and may worsen in coming months, said Joseph Inganji, the Head of UN Office for the Coordination of Humanitarian Affairs in CAR. Only a week after the conference, on Sunday (8 April), armed men believed to be ex-Séléka fighters opened fire on a UN peacekeepers’ base in Bangui, the CAR capital. The shooting followed a joint operation by the UN and CAR army to dismantle bases of a militia responsible of extortion and attacks on civilians in a Muslim neighbourhood known as PK5, a commercial hub of the capital. 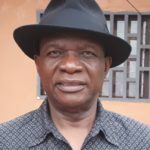 Last month, an eruption of violence in the central town of Seko, 65km northeast of Bambari, claimed dozens of lives, including that of a Catholic priest. World Watch Monitor sat down with Rev. Guérékoyamé-Gbangou during the conference to discuss CAR’s history and current challenges. Here are some of his comments. Rev. Guérékoyamé-Gbangou said instability has marked the history of the country since it gained independence from France in 1960. “We have had several heads of state. The first founding president, Barthélémy Boganda, did not last long – he died in a plane crash, we were told”, he said. “And then there was a succession of heads of state. I don’t want to blame them, but we realised that the same vices have been repeated. “The issue of bad governance has always been central to the concerns of Central Africans, and it always results in military coups, rebellions and mutinies. “These, in turn, create political instability, so that generations of Central Africans who succeed one another find themselves without their bearings. They wonder who should be considered as a role model in this country. Not the political leaders, not the social leaders, not the religious leaders. “When it’s like that, there’s a need to reflect and say: maybe the time has come to talk about the rebuilding of the Central African Republic”. “With political leaders, we led them to look again at the constitution of CAR, which stipulates in its article 28 that coup d’état is not allowed, that rebellions are condemned, that any form of seizure of power by force is also condemned”. Guérékoyamé-Gbangou said business owners must be made aware of their responsibilities in the economic revival of the country, which has abundant gold, diamonds, uranium and oil. CAR is a predominantly Christian country. Some 52 per cent are Protestants and Evangelicals, 29 per cent are Catholics while 10 per cent are Muslims. Since independence its leaders have often been portrayed as Christians. But Rev Guérékoyamé-Gbangou challenged the assertion. “Are they true practising Christians or just religious who have followed the path of their fathers to go to church, chapel, or a temple? If that is so, we cannot be surprised to witness this resurgence of violence in the country based on people who call themselves Christians. “Therefore we as religious leaders should realise that something is missing in our preaching and teaching of the Word of God. We must therefore deepen the teaching of the Word of God to lead Christians to live by their faith. “The Word of God assigns us the task of sentinel. The rebuilding process is a commitment and will continue until the CAR finds its way back to its destiny and future generations can say: finally we find ourselves in a country where we feel proud of ourselves”. CAR President Faustin-Archange Touadéra, who took office in 2016, said he was encouraged by the display of Christian resolve to pray for CAR’s healing. “I am delighted by the objectives of this conference, which strengthens my vision of rebuilding our nation, whose foundations have been shaken by recurring crises in the country for several decades, which reached their peak in December 2012,” he during the opening ceremony. He urged “believers of all stripes to continue, tirelessly, the spiritual battle, to observe times of prayer and intercession, to follow the Word of God, so that God gives us lasting peace and prosperity according to the means that suit him”.